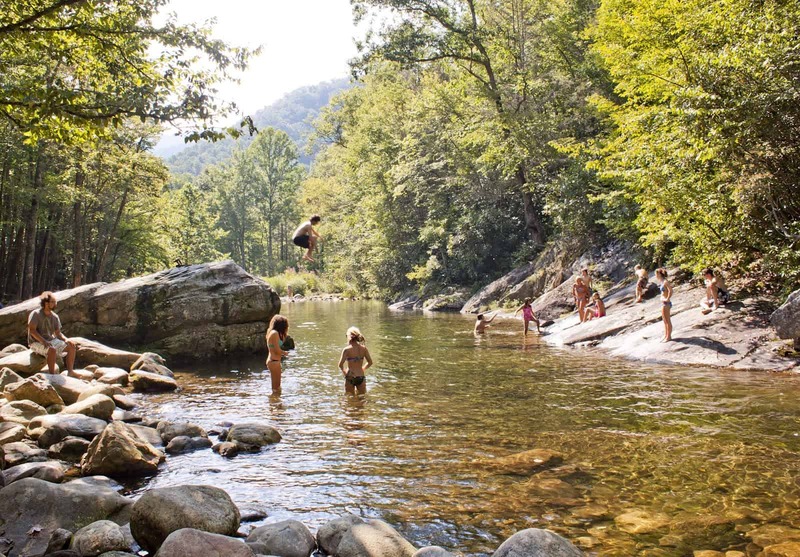 Enjoy one of the area’s best swimming holes, Sunburst Swimming Area. Take Highway 215 and head towards Lake Logan. Keep going until you pass Sunburst Campground on your right and the swimming hole will be the river area on your left. With two main swimming areas, this area is a local favorite for kids and adults alike! All the water originates within the mountains surrounding the creek, so you will find some of the freshest (and coldest) water around to cool off in.